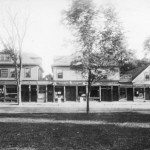 In the 1700s and for most of the 1800s, Needham Center was located at the intersection of Central Avenue and Nehoiden Street. 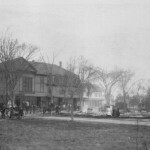 The First Parish Church was located there, as was the Parsonage, the cemetery, the meeting hall and a school. 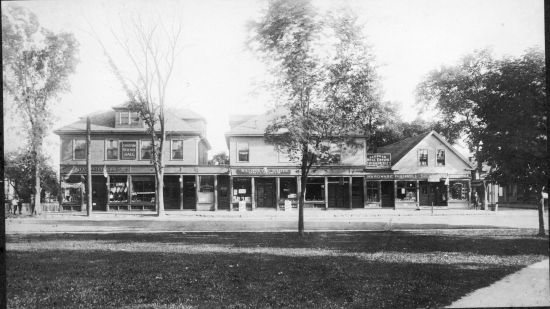 Shops and the tavern were a block away, where Central Avenue met Great Plain Avenue. 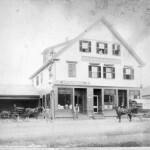 In the 1850s, train service came to Needham. Denied permission to cross the ministerial lands in the town center, the tracks diverted southeastward toward Great Plain Village. 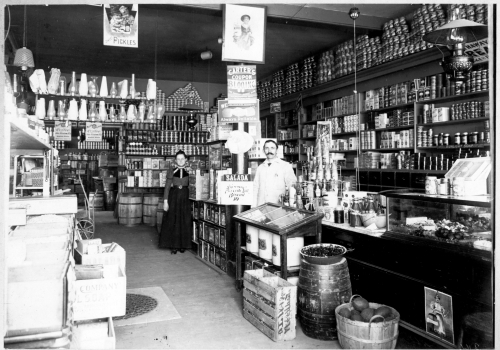 The presence of the railroad drew toward itself businesses and workshops. 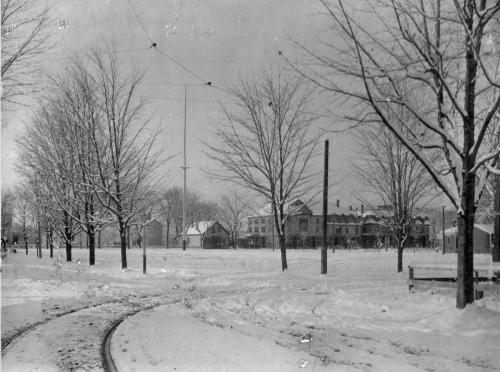 The rising professional class, taking advantage of the convenience of travel to Boston, began to build townhouses along the roads that surrounded the station. 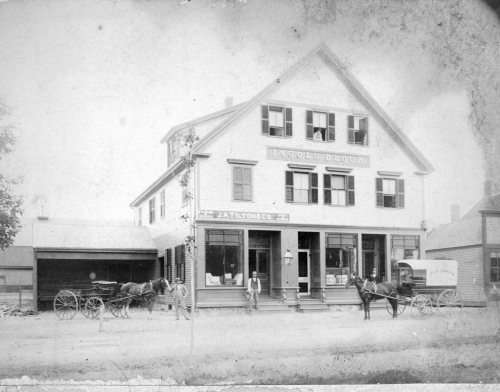 By the late 1870s, Great Plain Village had become the de facto center of Needham. 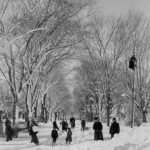 In 1879 it became the official center, as the First Parish Church was raised from its foundations on Nehoiden Street, and conveyed on rollers to its present site on the corner of Dedham and Great Plain Avenues. 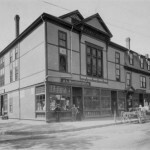 The Moseley-May-Bourne Building, circa 1900 stood at the SW corner of Great Plain Ave & Chestnut St. The meeting rooms on the upper floors served as the Town Hall and police lock-up in the 1880s and 90s. 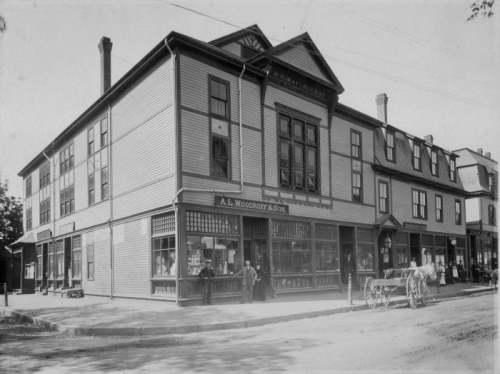 The Fowler Block, c. 1905, along Great Plain Ave between Chestnut St. & Dedham Ave. 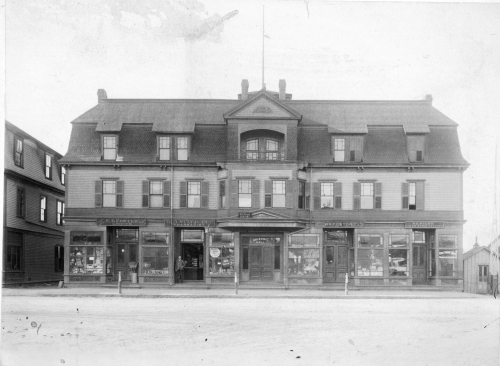 The Kingsbury Block, c. 1890 was built between the Moseley Block and the train tracks in 1887. Needham Common, c. 1900. 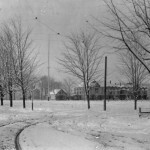 This view looks southward, toward the corner of Great Plain Ave. & Chestnut St. In the foreground is the Common, still an open space. Needham Common, c. 1900. 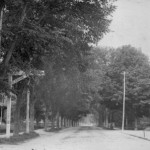 This photo was taken from the approximate location of the Walgreen's driveway, looking toward the intersection of Great Plain Avenue and Chestnut Street. 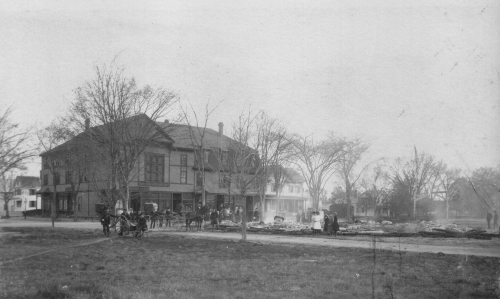 The Ingols Block, c. 1890. 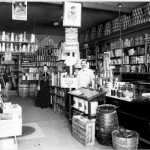 The J A Tilton Company sold stoves, grain, feed and poultry supplies, “at Boston prices”. 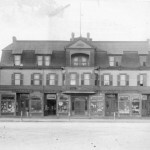 The building was later the Hotel Nehoiden, and currently houses The Grey Goose. 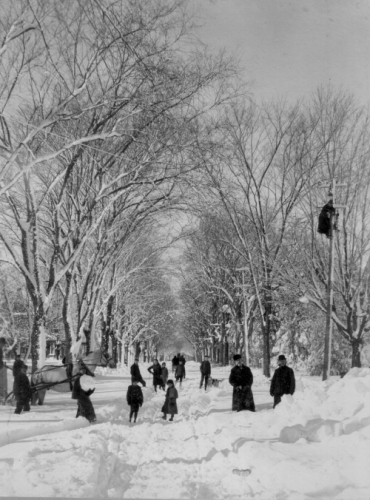 This view of Great Plain Ave (c. 1898) is looking westward toward Wellesley from the railroad crossing, was taken after the great snowstorm of January 31, 1898. (We don't know why the man is in the telephone pole). This view is virtually the same scene as the previous one, taken during the summer. 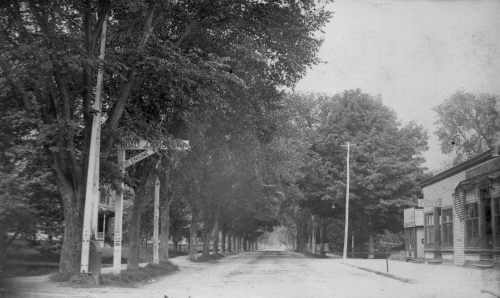 The graceful archway of elms shaded Great Plain Avenue until the 1930s. 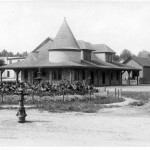 Needham Center Station, c. 1900. 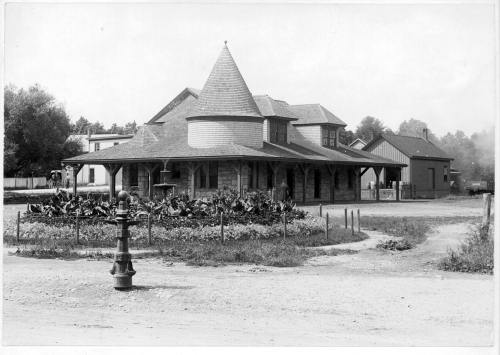 The original station house burned down in 1887, and was replaced by this stone structure with a turreted roof.